Everyone works differently. They might be less confident than you think but just disguise it well. 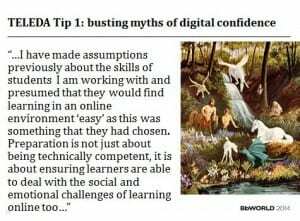 The quote shows VLE are not only about technical competence but have social and emotional challenges. Don’t make assumptions about how people feel psychologically as well as cognitively. Recommends: build in time for a course induction. Have activities which encourage sharing aims and feelings, it’s good for e-learners to know others might be nervous about learning online and good for e-teachers to know what students are thinking about. We’ve all had emails which leave you thinking mmm…. what do they mean by that? The absence of face to face clues makes it easy to misinterpret messages. The quotes reinforce the value of learning design and how online communication is different, sometimes scary. e-teachers should expect reluctance and be prepared for the possibility of mixed messages. 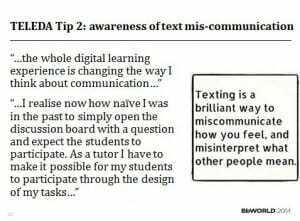 Recommends: discuss the advantages of digital text; how you can practice, reflect, edit, check spelling then paste when you’re ready. Have a net etiquette guide, either given or constructed during induction. 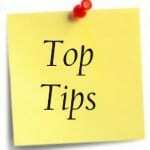 Include the standard advice e.g. capital letters are shouting, emoticons convey emotions 🙂 😕 😎 and don’t be rude or offensive. If you wouldn’t say it f2f don’t say it online. If you would say it f2f it’s still not appropriate here! What do you call an e-teacher? It sounds like a bad joke but is a serious question. 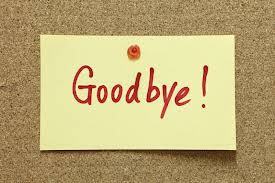 You hear tutor, trainer, moderator, facilitator, instructor but never e-lecturer. The status of teaching online isn’t high. 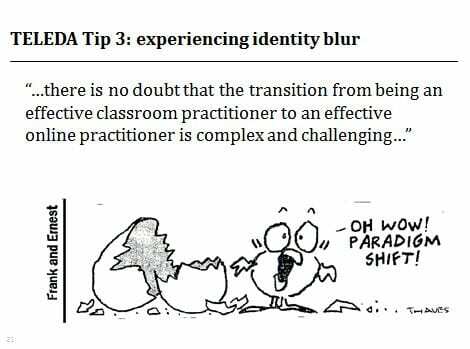 e-teachers have to shift identity from ‘Sage on the Stage’ to less visible and more silent ‘Guide on the Side’. Recommends: knowledge is power so be prepared. e-teaching is complex and challenging but also an expertise in its own right. Done well, it’s a powerful tool for widening participation. 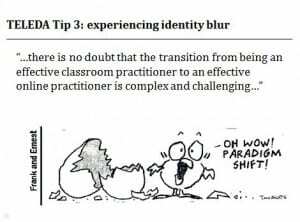 Be proud of your e-teaching status and take every opportunity to share your practice. 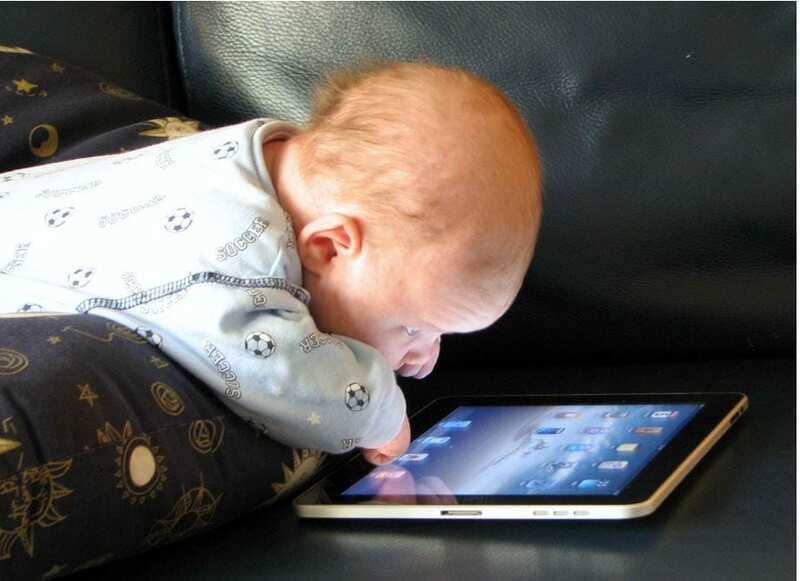 Online resources have to guide, motivate, enthuse and excite students as well as retain them. Face to face sessions need to be redesigned on constructivist principles through an activity based curriculum. 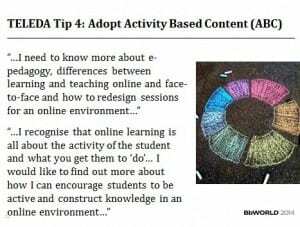 Interaction with content as well as other e-learners and e-teachers is essential for maintaining and completing the learning journey. 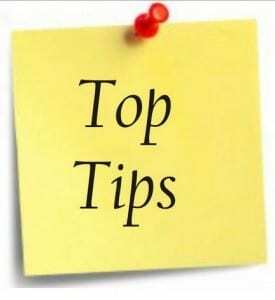 Recommends: set up online groups with forums, blogs or wikis and a choice of activities based on key texts. Ask for synthesis of core ideas through posters, mindmaps, presentation software, audio, video. Ask students to peer review and feedback summaries. Avoid replicating lectures with 50 minutes of talking head. Chunk content, be inclusive and always provide multimedia transcripts to suit all learning preferences. e-teaching and e-learning are very different experiences to campus based education. 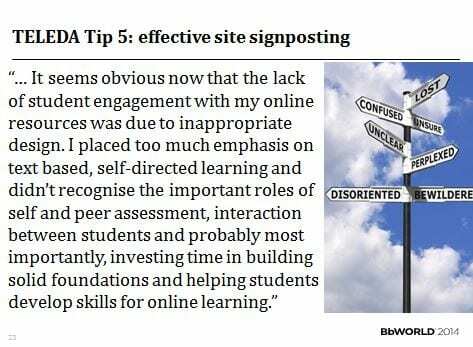 They are often carried out in isolation and it’s easy to forget how a VLE like Blackboard might look like to a new user. 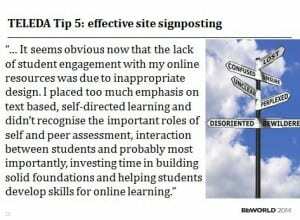 Without the physical presence of colleagues or peers, it’s easy to get lost or confused so effective signposting is essential. Recommends: be clear about the learning outcomes and ways to demonstrate them. Make sure e-learners know what’s expected and how they’ll be assessed. Give them your contact details and times when you’ll be available. Check links aren’t broken. Write weekly summaries which look backwards and forwards. Keep everything within two clicks from the Home page. Massive Online Open Courses (MOOC) offer free opportunities to see other e-teachers at work as well as offering first hand experience of the loneliness of the long distance learner. You can dip in and out and they’re great for ideas for designing content and enabling communication. Open Educational Resources (OER) are worth looking at too. These are educational materials made freely available through a Creative Commons licence. Recommends: visit Coursera, the Khan Academy or Udacity for MOOC and JORUM or HUMBOX for OER. SCORE have a list of repositories. Look up Creative Commons licences; some encourage repurposing as well as reuse. Built activities around searching and evaluating free online content. Use social bookmarking like Delicious or Diigo to collect links in one place. 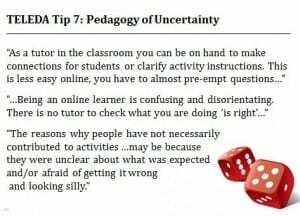 The challenge of e-teaching is not knowing what to expect. You don’t know who your learners are, or if they’re going to engage in your activities, and if not, you have to figure out if they’ve got lost or simply lost interest. 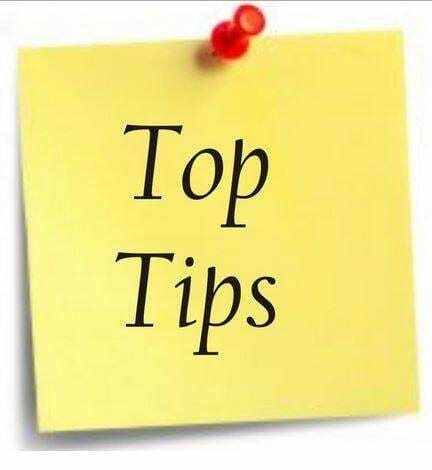 It might be miscommunication or misunderstanding but following the six tips above will help avoid some of the commonest errors. Recommends: be honest. e-teaching isn’t the easy option but the advantages outweigh the negatives. VLE offer genuine opportunities to widen participation in higher education, in particular for those with multiple time commitments. They also enhance campus experiences through encouraging independent and inclusive learning. 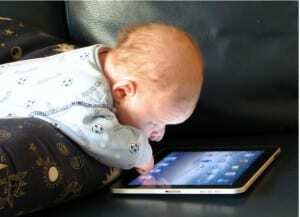 The future is digital and e-teaching is an increasingly essential craft and skill.